This Grebe was captured along the Toronto waterfront, not far from the Air India memorial monument. I’m not sure what he was doing but whatever it was, I did not notice any female nearby. Grebes are known for their exotic courtship behavior and plenty of videos are on-line. One video is by the BBC about the Long Neck Grebe which does a paired mating dance while vertically running on the water surface. Quite incredible to watch. 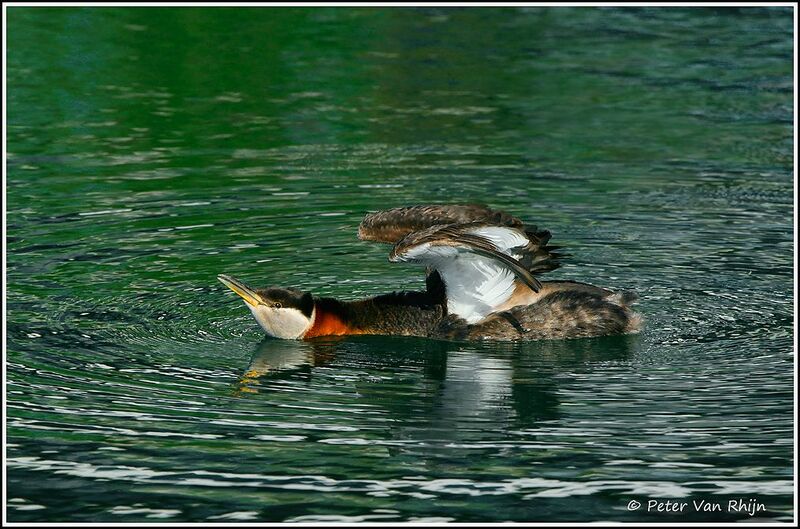 On one of the videos, I watched as a Red Neck Grebe takes on the position I photographed here. What I photographed lasted 15 to 30 seconds. If anyone knows what this is all about I’d love to know.